Gambling legislation is coming — again — during this legislative session, and the decisions should be so easy, so clear for our lawmakers that they only have to worry about one thing. This is so easy that the bill introduced by Sen. Jim McClendon on Tuesday should sail through with the ease of the gas tax. Because among voters — even Republican voters — it is way more popular. The people want gambling. They want a lottery. Most of them want sports wagering. A majority are even OK with full-blown casinos. So, this is not an issue that will land any lawmaker in hot water with voters. The aforementioned gas tax will take up all the air in that room. And let’s not forget that before the first lottery ticket can be filled out, Alabama voters will have to approve all of this themselves. So, all lawmakers have to worry about is getting it right. And getting it right means extracting the most revenue possible from gaming in order to pay for necessary state functions and education. But don’t fret, even that is insanely easy to do. Because once the lottery portion of this bill is approved, you’re going to want to approve the operation of video lottery terminals at select commercial casinos in the state. I’ll explain why, but first, let’s discuss the VLTs and the commercial casinos a bit more. VLTs look a lot like a slot machine, but in reality they are simply an electronic version of the lottery scratch-off cards. Instead of scratching, you press a button or pull a handle and a machine does it for you. These machines would replace the electronic bingo machines, which have caused their fair share of uproar in this state, at casinos such as VictoryLand, GreeneTrack, Birmingham Race Course and Mobile Greyhound Park. The reason it’s easier to choose these locations — and to charge them all a hefty licensing fee — is that they already have the infrastructure, the security and the established locations. Now, the reason you want to approve the operation of these VLT machines is because these machines — or their current equivalent — are coming no matter what you do. Once the state approves a lottery, that opens the door to Class III gaming to the Poarch Creeks. Their first move will be to either petition the state for a compact or to stand pat with the electronic bingo machines they currently offer. No matter what, you’ve still got three large casinos hauling in about a billion dollars annually in profits and paying zero in taxes to the state. Unless, of course, the tribe opts for a compact and VLTs, in which case the state can expect to recoup about 4-6 percent of profits from PCI’s three casinos. Under McClendon’s bill, the commercial casinos would pay a rate higher than 20 percent. Like I said, this ain’t a hard decision. Just do the math. But here’s the best part: By doing this, it will also force the Poarch Creeks to enter a compact with the state to offer the VLTs, because the tribe must have a compact with the state in order to operate Class III games. That compact will very likely pay the state roughly the same 4-6 percentage. So, you’re making 20-plus percent from the commercial casinos and the same 4 percent from PCI’s three casinos. The lottery is also rolling along, and you’re hauling in cash like never before, filling all sorts of general fund and education trust fund holes, maybe even offering a college scholarship program or making community college and tech training free. 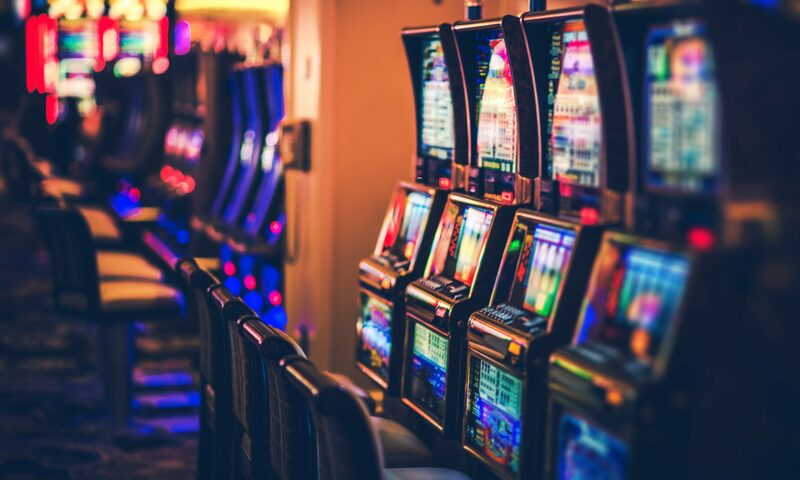 And you definitely now have the money to establish legitimate programs that deal with gambling addiction and other issues that are present with the three major casinos currently operating in this state. But here’s the last step: Legalize sports wagering. We all know that sports wagering is probably more popular in Alabama than in any city this side of Las Vegas. Every male over 16 has “a man,” who they call to put 100 bucks on the Bama game or drop $50 on the Auburn over, or they’re dumping money into online gaming sites. Legalizing sports wagering will push a lot of that action into monitored, secure locales that handle it professionally. It will also guarantee that your casinos don’t stagnate over time. Sports wagering is extremely popular around the country, and opening legal books in this state will drive an entirely different crowd to casinos. And polling among voters, even in this state, show sports wagering to be popular. So, like I said, it’s about as easy as can be: Just do what the people want and what makes the most money. And don’t screw it up.